Stuck on what to get for your favorite hosta fanatic in your life? Here are a few gift ideas that any hosta grower will love. Hosta collectors love researching their plants. 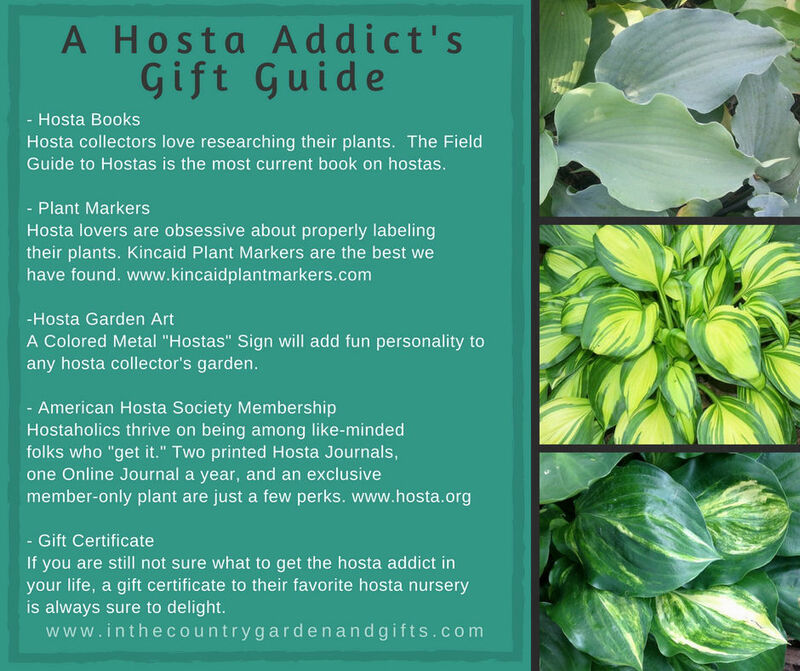 The Hostapedia, The Book of Little Hostas, and Mark Zilis' Field Guide to Hostas are excellent choices. Hosta lovers are obsessive about properly labeling their plants. Kincaid Plant Markers are the best we have found. A garden needs more than plants. A Colored Metal "Hostas" Sign will add fun personality to any hosta collector's garden. If you are still not sure what to get the hosta addict in your life, a gift certificate to their favorite hosta nursery is always sure to delight. Buy In The Country Gift Certificates here. Don't stress! Let us know how we can help.